The U.S. Court of Appeals for the Federal Circuit set the damages in Gaylord v. U.S. 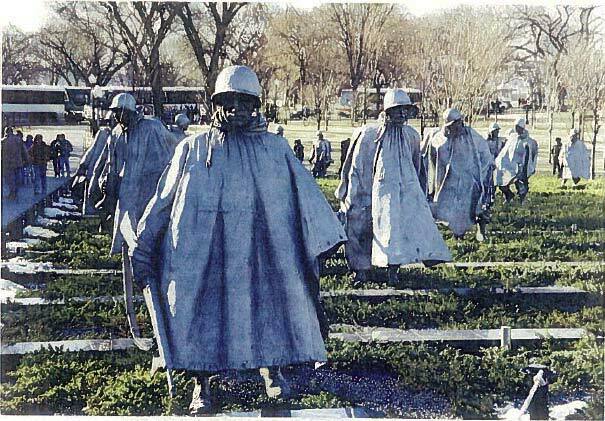 This fair use and unfair licensing action involved the Korean War Veterans Memorial sculpture and the government’s decision to license an unauthorized photograph of the sculpture without securing rights to the sculpture itself. Frank Gaylord created the memorial. Later John Alli photographed the Memorial. Given the beauty of his photographs, Mr. Alli decided to license his photographs. He purchased a license to reproduce the Memorial from Mr. Lecky, an architect with Cooper-Lecky Architects, P.C. the prime contractor for the creation, construction, and installation of the Memorial. Lecky did not inform Mr. Gaylord of the license fee, instead holding himself out as author of the sculpture. Eventually, however, Mr. Alli settled with Mr. Gaylord by paying a ten percent net licensing royalty. Mr. Alli licensed his photograph to the Postal Service for $1500. 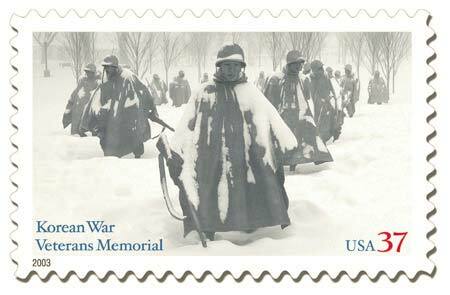 “The Postal Service produced approximately 86.8 million stamps before retiring the stamp on March 31, 2005,” noted the court. The court also rejected claims the suggestions to the sculpture transformed the ownership into a joint work or the rather bizarre suggestion that the sculpture is an architectural work – meaning “the design of a building as embodied in any tangible medium of expression…” and a building as “humanly habitable structures.” Looking at the photograph below, it is difficult to see where one might inhabit the work. The choice of the ten percent net licensing royalty seems particularly appropriate given the license granted by Mr. Alli to Mr. Gaylord. According to Mr. Gaylord’s attorneys, he was awarded $685,000. Heidi Harvey of Fish & Richardson represented the artist on a pro bono-contingency hybrid basis. While it is disheartening that the U.S. did not settle this case earlier and that it took the position the work was not owned by the artist, the robust licensing fee hopefully rectifies the damage done by the Postal Service. Business relationships are often strained when a third party successfully breaches the data security of a target, creating profound negative consequences not only to the target but also to that company’s vendors, business associates, and customers. These damages are often costly but sometimes hard to identify or quantify. In the majority of security breaches, the customers who have had their identity exposed have suffered no actual economic harm. The courts, therefore, are appropriately reluctant to give monetary damages to those injured customers and generally refuse to compensate for the time lost checking credit scores or otherwise dealing with the problems associated with the data breach. The vendors and business associates, however, may incur substantially greater economic losses and more direct financial injury. Because this injury is exclusively economic loss, a question remains whether such loss is compensable under tort law or whether all remedies are limited entirely to contract claims. In Lone Star Nat. Bank v. Heartland Payment Systems, No. 12-20648, 2013 WL 4728445 (5th Cir. Sept. 3, 2013), the Fifth Circuit reversed a dismissal of a tort claim based on the plaintiff bank’s assertion it suffered financial harm when it had to replace consumers’ compromised credit cards and to refund fraudulent charges as a result of the negligence of the defendant in securing against data breach. The case arose from a 2008 data breach of the defendant’s payment processor’s systems, exposing 130 million credit card numbers. Contract may be better than tort, but such a limitation oversimplifies the scope of tort law. Tort injuries occur in inchoate interests such as defamation and assault. Not all tortious harms are physical. The New Jersey Supreme Court had earlier held the tort remedy applied when a duty was breach. It explained that when “a defendant owes a duty of care to take reasonable measures to avoid the risk of causing economic damages, aside from physical injury, to particular plaintiffs or plaintiffs comprising an identifiable class with respect to whom defendant knows or has reason to know are likely to suffer such damages from its conduct. . . .” People Express Airlines, Inc. v. Consolidated Rail Corp., 495 A.2d 107 (N.J. 1985). Based on this line of reasoning, the Fifth Circuit reinstated the claim. It acknowledged that New Jersey law generally did not permit the tort claim if there was a contract between the parties, since the terms of their express agreement should govern the allocation of risk. But third party beneficiary law often provides that parties not directly negotiating the agreement may still be affected by it, and so to might a group of readily identifiable tort victims who are not party to the contract but affected by the duties created. Since the defendant, Heartland “would not be exposed to ‘boundless liability,’ but rather to the reasonable amount of loss from a limited number of entities [then] even absent physical harm, Heartland may owe the Issuer Banks a duty of care and may be liable for their purely economic losses.” The decision merely allows the case to proceed and a great many additional defenses will be addressed. Nonetheless, the decision is an important reminder on the creation of contracts and the scope of those contracts as they affect third parties contemplated but not direct parties to the agreements.